Posted Sep 19, 2018 by Eds. The great social thinker, Samir Amin, has died. The social sciences have lost three unique figures in this year. First, the Brazilian Theotonio dos Santos, who inspired many to study the world system from a radical perspective. He was followed by the Peruvian Aníbal Quijano, who posed the concept of “cultural revolution” to give the peoples of Latin America their own identity. Samir Amin was Egyptian, but he was at ease working alongside Latin American sociologists. Before his death, Samir Amin was interviewed by Rubén Ramboer. From this interview we would like to recall three lines along which Samir developed his work. In the first place, the role of boldness in the work of social scientists. In reality, boldness has to be present in any initiative that pretends to be significant. Moreover, boldness is a necessary ingredient to overcome social contradictions. 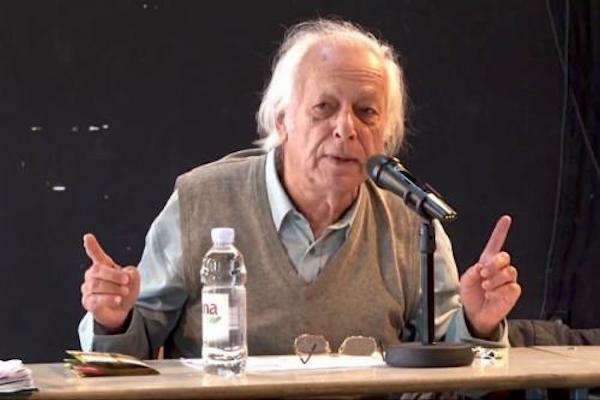 Samir Amin identified himself as a Marxist. What does it mean to be a Marxist, given that Karl Marx wrote his great works 150 years ago? According to Samir, “to be a Marxist is to start from two great contributions elaborated by Marx. In the first place, the critique of reality. But the reality situated in one’s era.” That is to say, in the present. We cannot critique something that has already passed, or that exists in an unknown future. He points out, in addition, that “although capitalism is not what it was, the critique of capitalism is still fundamental.” In the second place, “the critique of the ideological image of capitalism. That is to say, of economic theory and of economism.” The ideology of capitalists has created a false knowledge of reality: the economism that proclaims “the end of history” and the unending existence of social relations of (waged) slavery. Concerning these two great contributions expounded by Marx, there is a quasi-consensus on the present definition of Marxism. Samir Amin takes an additional step that frightens non-Marxists and neo-Marxists. He says that “to be a Marxist means necessarily to be a communist. Marx did not dissociate theory from practice, from the participation in the struggle for the emancipation of workers and peoples. It also means to be an internationalist communist. It is not possible to change the world while forgetting the majority of peoples, especially those of the periphery.” It is not clear what it means to be a communist. Samir Amin points out that it means to be willing to “change the world”. An immense task. Samir also refers to China and its appearance on the world scene as a new industrial power. The explosive presence of the old Celestial Empire has changed the international balance of power. Little by little, it has relocated the centre of the world capitalist system from the North Atlantic to the Pacific basin. We are at a historic moment in which the radical left should be bold. I refer to the left that is convinced that the capitalist system should be surpassed in its essence. In the North, there exist objective conditions to isolate monopolistic capital, that exercises its power partly thanks to its political and media clergy. This could begin through a social and political alliance–not an electoral alliance–that would include the great majority. In the peripheries the boldness would consist in the formation of an alternative and anti-comprador historical block (anti-rentier). The emerging countries, especially China, are in the process of deconstructing monopolies. In order to face this challenge, the Chinese have chosen to finance the slow death of the USA by supporting its deficit. The sudden death of such a beast would be too dangerous. Marco A. Gandásegui, Jr., Professor of Sociology with the University of Panama and Researcher associated with the Centre of Latin American Studies Justo Arosemena (CELA).